There is no greater healing source than that of the supernatural power of God. His power does not ever weaken or wane and has been an original spiritual force of God since the beginning. God’s power is available for any person still present on this earth. God’s power can heal man both spiritually and physically. There is not, nor will there ever be any greater miracle serving force, or healing authority, greater than the supernatural presence and power of God. His power continues its divine work today inside those who genuinely claim a personal relationship with God for affecting this world as God’s power shines through them outwardly. There are many examples of His healing and restoring power for souls and physical restoration found in God’s Word. These events were given to man in ancient times as signs for him to “chew on” and “digest” physically and spiritually. Though we were not alive in ancient times to be a firsthand witness of any events of God’s divine supernatural nature, these signs and wonders were divinely recorded for our reading and “spiritual digestion” in God’s Word. Miraculous occurrences have also been recorded in man’s written account of ancient historical records from the biblical era. God’s healing power is necessary for the curing of wounded and broken flesh and in delivering eternal robust health for ill spiritual souls because of the darkness and desperation of sin present in this world. God’s supernatural power was the driving force, or spiritual fuel, in the completed transaction of Calvary with the purpose of ushering in a permanent, or perpetual, and unmerited cure for sin, even though man’s innate sinful nature deserves death. Jesus Christ took upon Himself the consequences of sin and death so that every man could choose to live forever by placing faith in His finished work of Calvary. This grand spiritual transaction, or gift of Calvary, along with the miracle of new spiritual life, which was culminated by Jesus Christ’s amazing supernatural resurrection from the grave allowing every man to choose whether to continue to exist dead in his sin or to be found dead to self and buried with Jesus Christ and raised unto new and eternal spiritual life. A spiritually regenerated man exists spiritually alive this earth and alive forever in the eternal realm. A natural man chooses to exist spiritually dead in this world and continues to be spiritually dead in the eternal realm forever. Jesus Christ always provides an opportunity for possessing the eternal spiritual comfort, peace, and healing power for the believing man and woman who choose to trust in God. His supernatural power and presence are especially conspicuous in the times when a child of God is desperately swimming upstream being caught up in the throes of a myriad of impending trials and tribulation. God does not always choose to eliminate a trial which is disrupting our peace but allows it to propel us beyond the existence of our immediate troubling circumstances. His power gently, but powerfully thrusts a man over to the other side of the storm finding calm and peaceful blessings inside “green grass moments” of life (Psalm 23:2-3). These divinely inspired times of healing and rest are spiritually vital for the child of God for developing spiritual resilience and longsuffering in both hills and valleys of life. Today we are going to examine some divinely inspired and biblically recorded supernatural miracles, signs, and incidences found in the New Testament book of John which began with the earthly ministry of Jesus Christ and culminating with His ultimate supernatural miracle ushering in the possibility of perpetual spiritual healing and new eternal life. Certainly, as you likely know, John was the disciple who developed the closest earthly relationship with Jesus Christ and was affectionately known as the beloved Apostle. The book of John contains many inspiring “supernatural miracle moments” of Jesus Christ’s earthly ministry of physical healing and spiritual restoration while He was alive and present on this earth. Join me as we can read and study these multiple divine accounts for uncovering a continued hope and comfort in our own lives, and for imparting eternal hope and peace into the lives of others about us. John 6:16-20 (KJB) And when even was now come, his disciples went down unto the sea, 17 And entered into a ship, and went over the sea toward Capernaum. And it was now dark, and Jesus was not come to them. 18 And the sea arose by reason of a great wind that blew. 19 So when they had rowed about five and twenty or thirty furlongs, they see Jesus walking on the sea, and drawing nigh unto the ship: and they were afraid. 20 But he saith unto them, It is I; be not afraid. God’s supernatural peace and presence divinely calmed this tempestuous atmosphere. Not only did God’s presence quiet the storm, but it allowed Peter to walk upon the now stilled water for meeting personally with Jesus Christ. This event was a supernatural phenomenon emphasizing the power and presence of God during a stormy state of affairs and for downplaying the weakness naturally at work in the flesh of Peter. Peter was a man who was, in the flesh, just like you and I at times, naturally petrified and feebleminded rather than filled with impenetrable faith as he faced these gusts of the wind and high waves swirling about him. Our faith is not made whole and complete while we are alive on this wicked and dark earth. It is always subject to vacillating in tough times, but through maturing trust, in God, a man weathers the storms of life. When Peter took his eyes off his circumstances he instantly found the divine healing, safety, and security enveloped inside the power and presence of God which had been there the whole time but Peter could not see it. Though our own circumstances waiver and fold with contrary winds, God stands spiritually solid and sure and we can count on His supernatural power and presence consistently at work in our life as we sojourn in this world. Yes, through His stripes mankind continues to be spiritually restored and physically healed today. John 11:43-44 (KJB) And when he thus had spoken, he cried with a loud voice, Lazarus, come forth. 44 And he that was dead came forth, bound hand and foot with graveclothes: and his face was bound about with a napkin. Jesus saith unto them, Loose him, and let him go. Lazarus, along with Mary and Martha his sisters, were close earthly friends of Jesus Christ. The physical death of Lazarus deeply touched them, as well as affected Jesus Christ in His humanity. Jesus Christ paused for a few tender loving moments shedding tears over the grave sight of His good friend and spiritual brother. Yes! Grieving is natural and expected when deaths of our family and friends occur. However, Jesus Christ did not linger long or languish over Lazarus’s death. He did not allow Mary and Martha or others to spend much time fretting and falling apart over Lazarus’s unexpected physical death. Grieving has a purpose. It is measured and dealt according to God’s will at work each individual’s life, as he or she is healed and restored while living in this world. Jesus Christ entered Bethany having traveled about fifteen furloughs (John 11:8), or approximately about two miles from Jerusalem, coming to visit the grave of Lazarus a few days after he had passed. The Bible tell us that Lazarus had been dead and buried for four days (John 11:39). There are two things to stop and take note of in this inspired account, one, Lazarus was dead and buried for four days, and this length of time makes it an impossible situation to naturally rectify. There was no hope remaining for the life of Lazarus among his family and friends. Yes, all hope was gone, that is unless you are Jesus Christ who has the supernatural power and presence of God available for beckoning Lazarus forth from the grave. You and I personally know both friends and acquaintances on this earth who exist as dead and dormant in their sin. Like Lazarus, they are seemingly void of any hope of resuscitation; physically or spiritually. However, this errant conclusion has often been hastily drawn in our own estimation, or perception of another’s condition, rather than considering the work of the supernatural power of God. It is easy for us to loosely determine there is no hope for an individual in a seemingly deadly and desperate situation. How often do we fail to consider miraculous works of God and fail to embrace the supernatural power of prayer lifted up by devoted men and woman of God? What seems an impossibility for man remains “spiritually simple” for God to accomplish. Lazarus was called by God to come forth from death unto life. He was freed from the power of the grave but was still bound in his grave clothes. Certainly, his many devoted friends and family gathered about were eager to assist in releasing him from his binding grave clothes and for washing away the pungent odor of death upon his newly alive flesh. Lazarus found divine healing, restoration, and new life enveloped inside the power and presence of God and likely the necessary willing assistance of family and friends for encouragement and spiritual edifying as he began living his new life! Here is yet another wonderful example of the miraculous healing found in the book of John. This man was a paralytic, who was found lying helpless on one of five porches found along the pool of Bethesda. This pool was a common gathering place for those who were suffering from some sort of physical disability and were awaiting their turn to be healed of infirmities in this water. John 5:7-9 (KJB) The impotent man answered him, Sir, I have no man, when the water is troubled, to put me into the pool: but while I am coming, another steppeth down before me. 8 Jesus saith unto him, Rise, take up thy bed, and walk. 9 And immediately the man was made whole, and took up his bed, and walked: and on the same day was the sabbath. This particular man, noted in scripture, was unable to place himself in the pool. He was instead run over by other people more able bodied than he, who were able to rush themselves right over top of him, as soon as the water was stirred by the healing power of the Holy Spirit. These words spoken by Jesus Christ immediately freed this man and he could freely move and eagerly arose obediently and walked, no longer having any binding or paralyzing problem preventing him from receiving precious healing from God. How often do we choose to carelessly step over others who are in need of a personal meeting with God? Are you a person who cares enough to help those who cannot help themselves for hearing and receiving the seeds of the gospel message? Helping those who desire a spiritual opportunity for being eternally cured through humble repentance of their personal sin, and be cloaked in the strength and supernatural power of God? Jesus Christ and His disciples were heading to Galilee. Jesus chose to take an uncommon route in getting there because He was directed by God to travel through Samaria. This was an odd choice, simply because the Jewish people and the Samaritan people often went out of their way to avoid meeting up with each other during their course of daily living. Jesus Christ, then or today, never chooses to purposely avoid or alienate any person or group of people. He desires to make Himself personally available for healing every man, woman, and child in need of restoration (1st Timothy 2:4). John 4:12-15 (KJB) Art thou greater than our father Jacob, which gave us the well, and drank thereof himself, and his children, and his cattle? 13 Jesus answered and said unto her, Whosoever drinketh of this water shall thirst again: 14 But whosoever drinketh of the water that I shall give him shall never thirst; but the water that I shall give him shall be in him a well of water springing up into everlasting life. 15 The woman saith unto him, Sir, give me this water, that I thirst not, neither come hither to draw. Jesus was divinely led onto walking along a pathway heading through Samaria to reach Galilee. It was in Samaria that he met a woman at the well at an awkward time of day for a lady to be drawing water. This was a heavenly appointment straight from the “spiritual playbook” of God that she would meet up with Jesus Christ on this day at this time. He spoke with this woman and reached into the depths of her heart with His gentle mercy and unconditional loving nature for prodding and provoking her softening heart condition, instantly melting the sinful hardness away. This woman was healed from her natural sinful desire for lustful lewd living. She was emptied of herself and filled with spiritual sustenance of the living eternal water Jesus Christ supplied from the supernatural well of God, rather than just simply collecting that day water from the earth meant solely for the physical needs of daily sustenance and quenching physical thirst. The heavenly water healed and softened the spiritual condition of her heart giving her instant joy and an eagerness to live a new spiritual life! She began at once to tell others about this man, who was Jesus Christ. This is about a desperate father seeking help for his gravely sick son. The specifics of his condition were sparse at best, but God was already at work in the details. John 4:46-47 (KJB) So Jesus came again into Cana of Galilee, where he made the water wine. And there was a certain nobleman, whose son was sick at Capernaum. 47 When he heard that Jesus was come out of Judaea into Galilee, he went unto him, and besought him that he would come down, and heal his son: for he was at the point of death. This man, who perhaps was a relative or a chief servant of Herod, come seeking Jesus’s healing for his son. Another odd occurrence perhaps, but not a kind of relationship a nobleman might seek lightly or unnecessarily, but Jesus Christ was not swayed by the politics of the situation. A parent’s love is naturally deep and fervent for their own child and they are often willing to go to extreme lengths to secure a better hope for the future than what they can plainly see on the horizon today. This nobleman had a simple faith and trust in the ability of this man Jesus, who perhaps he had seen in Cana, bringing about the first miracle changing water into fine wine. He was likely familiar with seeing or hearing about Jesus Christ’s supernatural abilities and come desiring a remedy for his son who was at home hovering near death. Certainly, there are many parents today who desire to go to great lengths to secure a better future for a physically or spiritually ill child. Not every gravely ill child can receive an opportunity for a new life. This man was desperate in his mission to find a new life for his son rather than face the stark and shocking reality of burying him for he was nearly in the grip of death. This situation with this young man makes me think of a parent dealing with a chronically ill child. Or a young person hanging onto a destructive drug habit and hovering dangerously close to the edge of death. Neither situation offers much hope or promises but God works in situations that seem impossible. He can make a way when there is no way in sight. This man had seen that Jesus was a supernatural miracle working man who perhaps could make a difference in the desperation of his son who was barely clinging to life. Boy, do we need more parents and others who go to the extremes to fight for the lives of young people hovering near both physical and spiritual death in this world today. Jesus took several steps in healing a blind man’s eyes so that he could see. These steps really had no impact on this man’s vision. Certainly, you understand that it was the working of the supernatural nature of God that removed this man’s vacant stare and divinely cleared his vision. John 9:6-10 (KJB) When he had thus spoken, he spat on the ground, and made clay of the spittle, and he anointed the eyes of the blind man with the clay, 7 And said unto him, Go, wash in the pool of Siloam, (which is by interpretation, Sent.) He went his way therefore, and washed, and came seeing. 8 The neighbours therefore, and they which before had seen him that he was blind, said, Is not this he that sat and begged? 9 Some said, This is he: others said, He is like him: but he said, I am he. 10 Therefore said they unto him, How were thine eyes opened? Not only did God use the supernatural power of God but also took the time to apply certain traditions of man in helping this blind man obtain sight. This must have aroused the curiosity of many in the crowd who were intently watching this miracle take place. None of these things rang out into the air as much as the fact that this all took place on a Sabbath day, normally commanded to be reserved for rest and no work, by strict Pharisees of the Law. What really did change to make this man who they knew to be blind see they wondered? Was it a supernatural event, or was it because this man, named Jesus, had worked to recover this blind man’s sight? Work on the Sabbath, how could this be allowed to happen. The questions and speculations continued to ring out among many in this crowd. They were so busy asking why? and how? And caught up in the unimportant details that they completely lost sight of the supernatural power and presence of God at work in His earthly servant Jesus Christ who divinely healed this man’s blindness. Even today, a man often likes to get caught up in the myriad of specifics and data proliferating in this fast-paced life rather than focus intently upon the unpretentious, but powerful presence of God. Frequently man desires to have prudent answers to every little detail concerning misunderstood works of God rather than just choosing to rest quietly in faith allowing Him to work according to His will in this world. Yes, today God’s power and presence still reign and rules, though it may seem the wicked powers at work in this world have gained an upper hand. God has the spiritual victory secured over every other power at work in this world. Jesus Christ still performs miracles via His eternal supernatural nature, holiness, and righteousness of God. 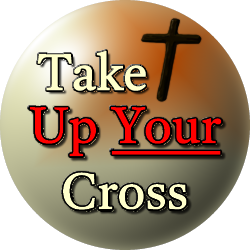 The finished spiritual transaction of the cross paved a victorious pathway for His power, strength, and miraculous abilities to remain in force forevermore. The miraculous and supernatural healing powers of God at work through Jesus Christ, who was both a man in the flesh and God, in His death, burial, and resurrection remains by far the greatest example of the restoration and healing power of God. 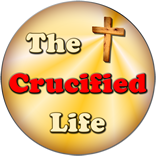 Yes, Jesus Christ was maimed and bruised for our iniquities and succumbed to His physical death. Jesus Christ rose again the third day onto a new spiritual life and soon ascended to the eternal realm to sit down (for His work was complete) at throne at the right hand of His Father. His spiritual restoration and healing work fully redeems any willingly repentant man from the sting of death! This trio of spiritual events ushering eternal victory and healing was not something that just happened because of circumstances in this world, or was thrown into this dark spiritual mix at the last moment. God has known all about every spiritual circumstance since the very beginning. In fact, every event was prophesied before time in the Old Testament more than once before coming to pass in the New Testament. Isaiah 53:4-5 (KJB) Surely he hath borne our griefs, and carried our sorrows: yet we did esteem him stricken, smitten of God, and afflicted. 5 But he was wounded for our transgressions, he was bruised for our iniquities: the chastisement of our peace was upon him; and with his stripes we are healed. Hebrews 9:12-15 (KJB) Neither by the blood of goats and calves, but by his own blood he entered in once into the holy place, having obtained eternal redemption for us. 13 For if the blood of bulls and of goats, and the ashes of an heifer sprinkling the unclean, sanctifieth to the purifying of the flesh: 14 How much more shall the blood of Christ, who through the eternal Spirit offered himself without spot to God, purge your conscience from dead works to serve the living God? 15 And for this cause he is the mediator of the new testament, that by means of death, for the redemption of the transgressions that were under the first testament, they which are called might receive the promise of eternal inheritance. Hebrews 10:9-10 (KJB) Then said he, Lo, I come to do thy will, O God. He taketh away the first, that he may establish the second. 10 By the which will we are sanctified through the offering of the body of Jesus Christ once for all. Hebrews 10:14 (KJB) For by one offering he hath perfected for ever them that are sanctified. Matthew 10:7-8 (KJB) And as ye go, preach, saying, The kingdom of heaven is at hand. 8 Heal the sick, cleanse the lepers, raise the dead, cast out devils: freely ye have received, freely give. God’s healing is available now and its spiritual property and benefits are lasting. Heavenly healing is for the purpose of divinely receiving perpetual spiritual health and allowing it to shine a witness of the working of God. Though His healing is no longer peppered with signs, His power and strength are forever “spiritually stout” and supernaturally strong and at work in this dark world. He took our deserved punishment giving us His wonderful unmerited mercy and grace so that we can pass the opportunity to meet Him and be healed by Him onto other spiritually thirsty and hungry souls in need of His supernatural spiritual relief. Yes, by His stripes you and I have been eternally healed!